With the month of January coming to a close, it’s possible you’ve already long forgotten about those New Year’s resolutions you had committed to only weeks ago. If you’re struggling with those financial New Year’s resolutions, you’re not alone. According to U.S. News & World Report, 80% of New Year’s resolutions fail. The report cites the need to change, which leads to stress, as the number one reason that leads to failed resolutions. It’s the time-old adage: “Everybody hates change,” and we’re essentially setting ourselves up for failure because New Year resolutions require us to change fundamental habits. 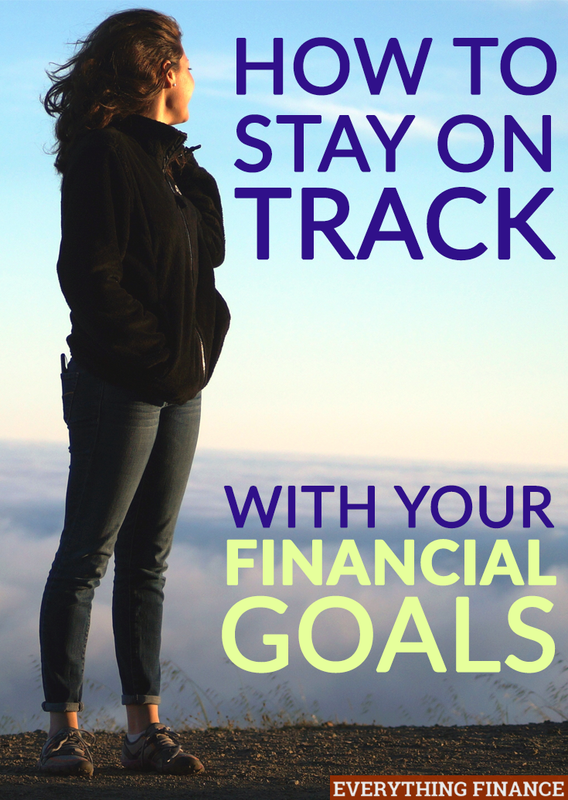 However, when it comes to our financial New Year’s Resolutions, we literally cannot afford to fail. Whether you’re looking to pay off debt, start saving money, or finally start tracking where every penny goes, here are 3 tips that will help you not give up on your financial New Year’s resolutions. If your financial resolution is to save $10,000, or pay off $20,000 of debt, and you’ve only managed to save $50 this month, or pay off $100 of your debt, chances are you’re ready to just say “forget it” and give up. Experts say that having a huge goal without incremental steps to achieving that goal is a recipe for failure. It’s really hard to commit to taking on such a large goal because any tiny setback can leave you feeling defeated. Instead of committing to saving $10,000, tell yourself you’ll save $200 a week. This will help you save $10,400 by the end of the year! You’re still saving $10K, but you’ve broken it down into smaller chunks that seem manageable. Plus, you’ve given yourself $400 of leeway, which allows you to take two weeks off in case finances are extra tight one week. In the example above, we allowed two weeks of leeway, or $400, where you can give yourself time off from your goal. Why? To prevent resolution burn out. Even those of us with the best intentions will have periods where we’re just not emotionally capable of meeting our goals. By building in these moments of weakness into our resolutions, we’re giving ourselves room to succeed. Use these two weeks away from your goal as breaks or rewards. For example, maybe one week your finances are very tight because there was some unexpected expense. Allow yourself to use the $200 one week to help yourself catch up. Or maybe you’ve been meeting your goal for six months straight. Treat yourself by using the $200 one week on a splurge instead! By giving yourself a little leeway, you’ll allow room to succeed while still meeting your goal by the end of the year. Oh and stay away from bad credit loans. One last tip: don’t speak negatively about your goals. Phrases such as “This is impossible,” “I’ll never be able to do this,” and “Why am I even bothering?” aren’t going to help you meet your financial resolutions. Don’t sabotage your goals with negative self-talk. Be your own best advocate and eventually you’ll be in the 20% who actually keep those New Year’s Resolutions! How have you been keeping up with your financial resolutions? Have you fallen off the wagon yet, or are you still going strong? How do you plan to keep the momentum this year? Erika I adore the way you write posts. Thanks to your post I manage to stay on right course and slowly going to my final goal. Thanks for writing.